Jewish antiquities and holy relics dating back 3,000 years deliberately destroyed on Jerusalem's Temple Mount. Joseph Goebbels, Nazi Germany's Minister of Propaganda infamously said: "If you tell a lie big enough and keep repeating it, people will eventually come to believe it." He told lies about the hapless European Jews and millions of Germans and other Europeans eagerly believed them and willingly participated in the Holocaust. Another such miscreant, the late and unlamented Egyptian born arch-terrorist, Yasser Arafat, spewed many canards, but one which has been repeated relentlessly by the Arabs who call themselves Palestinians is that there were no Jewish Temples on Jerusalem's Temple Mount, thus rejecting the Hebrew Bible and faith based history that Jews and Christians revere. Other Palestinian Arab 'notables' such as the once Chief Palestinian Justice, Sheik Taysir Tamimi, had declared the Jewish Temples "never existed." And even the Palestinian so-called moderate whom the Leftists and gullible liberals love to love, Sari Nusseibeh, made the preposterous and malicious claim that "the historical ties and attachments of the Palestinians precede any Israeli claim to Jerusalem." Well, when Islamic preachers teach children that Abraham, Moses and Jesus were not Jews but Muslims you have to conclude that it's loony tunes time. The Temple Mount in Jerusalem is the most sacred site of the Jewish people and of the Jewish faith. It is the very place King David made his capital some 3,000 years ago and where he built the sanctuary for the Ark of the Covenant. It is where his son, King Solomon, built the first Temple, destroyed centuries later by the Babylonians in 586 BCE, and where the Second Temple was completed in 515 BCE by Zerubbabel, centuries later to be destroyed by Rome in 70 CE. The very name, Jerusalem, Yerushalayim in Hebrew, interchangeable with Zion, has always been the source of Jewish yearning and prayer down the dark centuries of exile and persecution. For those Jews not living in the ancestral homeland, (and there were always Jewish communities in the land maintaining whatever numbers they could sustain under successive alien occupations), their prayers expressed the longing to return to Zion and to rebuild the eternal Jewish capital. It is not by accident that wherever in the world a synagogue stands, it faces Jerusalem. At the conclusion of Israel's defensive war against Arab aggression in June, 1967 and the reunification of Jerusalem, which had been divided since the 1948 illegal Jordanian occupation of the eastern half of the city, the leftwing Israeli Defense Minister, Moshe Dayan, committed a profound and calamitous error. Dayan believed that showing friendship to the Muslim aggressors by giving the Waqf – the erstwhile Jordanian Muslim religious authorities – the keys to the Temple Mount, they would reciprocate and Jews, Muslims and Christians would worship in peaceful harmony on the Mount. It was a monumental mistake, for the Islamic Waqf predictably chose to immediately discriminate against any signs of Jewish and Christian prayer on the Temple Mount. The holiest Jewish site in the world under the Waqf practically became judenrein (absent of Jewish life). "Today Jews are barred from praying on the Mount and are not even allowed to carry any holy articles or Bibles with them. With Muslim observers supervising visits, Israeli police, to their shame, have frequently arrested Jews for various "violations," such as singing or reciting a prayer even in a whisper. "This week, a Jewish woman was arrested following claims by police and Waqf officials that they noticed she was praying on the Temple Mount. Why is it a crime for a Jew to pray to God on the Temple Mount? And why is the State of Israel complicit in enforcing this anti-Semitic rule?" Since that earlier article by Mr. Meotti, Jewish pilgrimage onto the Temple Mount now takes place regularly, but outward signs of prayer is still forbidden for fear of offending the Muslims. An Indian Hindu friend of mine expressed to me his astonishment that Jews are not allowed to build their Temple again on their holiest site. He pointed out that growing up in India, people always knew that Jerusalem is to the Jews what Mecca is to the Muslims and Varanasi is to the Hindus. What may well be one of the worst ongoing crimes against human history and civilization is the ruthless and relentless destruction of Jewish and Christian antiquities by the Muslim authorities, the Waqf, who, as I earlier pointed out, were foolishly given permission to control the Temple Mount in 1967. Remember the Taliban destruction of the 2,500 year old statues of Buddha in Afghanistan? It is the same Muslim arrogance and hatred for all other religions. Remember Islamic State (ISIS) and its wholesale destruction of antiquities in Iraq and Syria? Anything non-Muslim is fair game to such barbarians. On the Temple Mount, the Islamic Waqf soon began using heavy bulldozers to dig up the ground in order to build yet another mosque, in addition to the two existing mosques Muslim conquerors had built over the site of the two Biblical Jewish Temples. Despite Israeli protests, they are still building under the Mount, and in the process deliberately desecrating tons of precious archaeologically rich soil. One archaeologist described the disturbed sites as "an archaeological crime" and "an assault upon Jewish and Christian history." Funded by the City of David Foundation, and directed by Professor Gabriel Barkai, Israeli and other archeologists and volunteers desperately began searching through the tons of earth and rubble which had been unceremoniously dumped by the Muslim Authorities in the nearby Kidron Valley. The intrepid archaeologists and their helpers from around the world uncovered thousands of rare and important artifacts from the First and Second Temple periods, as well as from Roman and Byzantine periods, among them a rare bulla dating from the First Temple Period. But each precious find, ripped and torn from its age old location upon the Temple Mount by Palestinians, fatally compromises what archaeologists can tell us: a most grievous and barbarous sin against history and civilization. The catastrophe is continuing even now as the Muslim Waqf and Palestinian Authority continue remorselessly desecrating and gleefully destroying evidence of Judeo-Christian civilization and faith upon Jerusalem's Temple Mount. In 2003, after witnessing the Waqf's horrific destruction of Jewish antiquities and ancient buildings on the Temple Mount, Israel sealed off the area behind the Gate of Mercy or Golden Gate to prevent a recurrence of such barbaric vandalism. 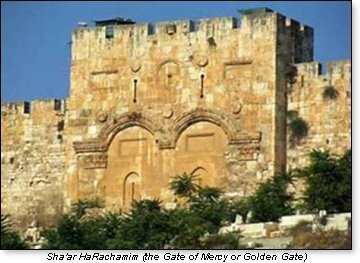 According to Jewish tradition, Sha'ar HaRachamim (the Gate of Mercy) is the gate through which the Messiah will come. Centuries ago, during the time of Suleiman and the subsequent 400 year old Ottoman Turkish occupation of the land, Muslim authorities deliberately have buried their dead in front of the gate in the belief it would prevent the Messiah's coming. Ezequiel Doiny is author of "Obama's assault on Jerusalem's Western Wall." In a recent article published in Israel National News and dated February 22, 2019, he reported that hundreds of Arabs, ostensibly arriving for Friday prayers and likely encouraged by the Palestinian Hamas terror organization which occupies Gaza, violently breached the area behind the Golden Gate. They forced their way into the site that had been protected for 16 years from earlier Muslim depredations upon the Temple Mount. Their acts of desecration had at that time led to the appalling and horrifying destruction of priceless archaeological remains. The horror may be beginning again. On December 15, 2017, Nadav Shragai wrote in Israel Hayom that, "King Herod's grand Third Palace is being systematically destroyed by the Palestinians, who are stripping its stone and building homes around it. The site is in Area A, meters from Israeli-controlled territory, but the Israeli government can do nothing...Here is a lesson that teaches us how the Palestinians today treat remnants of the past...It is unclear how much of this beauty remains." The so-called Oslo Peace Accords require Israel and the Palestinian Authority to abide by the terms agreed upon. Israel conforms to the agreements while the PA blatantly continues to flout them while at the same creating illegal facts on the ground. The U.N and the EU consistently look away, ignoring the outrages, and even funding illegal Arab construction in Israeli administered Area C.
Area A, B and C consist of the tiny territory which constitutes the very Jewish Biblical heartland known from the Bible as Judea and Samaria. It is also still regrettably known by the name given to it during its illegal Jordanian Arab occupation, the West Bank. This Jordanian invasion took place during the Arab-Israel War of 1948 during which Jewish villagers along with residents of Jerusalem's Old City were brutally driven out of their homes and lands by the Arab Legion. The ancient Jewish Quarter of the Old City was ravaged, 58 Jerusalem synagogues – some centuries old – were destroyed or ruined, others were turned into stables and chicken coops. Slum dwellings were built abutting the Western Wall and the Jewish gravestones on the ancient Mount of Olives were desecrated, many used by the Arab Legion as latrines. The malign Jordanian occupation lasted 19 long years until 1967 when the territory was finally liberated during the Six Day War. Yaron Rosenthal, director of the Kfar Etzion Field School, finds it difficult to hide his anger at what has happened to Herod's Third Palace. "Israel sees how one of the grandest palaces ever built in the Holy Land is being destroyed, and is standing by helplessly, because under the Oslo Accords the site, which is 30 meters from Area C, was made the responsibility of the Palestinians. It's time for Israel to say, 'No more.' With all due respect to the Oslo Accords, we will not let you destroy important archaeological remains linked to the history of the Jewish people in their land; remains that are part of the cultural fabric of this country,"
On Jan 6, 2018, Hebrew University archaeology doctoral student, Haggai Cohen Klonymus, described to the Israel News Company (formerly Channel 2 TV) how Palestinian tractors and bulldozers arrived at an archaeological site where the ancient city of Archelaus once stood. "The Palestinians completely leveled the compound in order to locate hidden archaeological treasures to sell in the antiquities black market. Just as ISIS destroyed sites in Iraq and Syria that were thousands of years old, the same situation is occurring here. This is a deliberate and systematic destruction of an archaeological site....It's just a tragedy." "Where is the outrage? Imagine what would have happened if Jewish police stood by and allowed a Muslim holy place to be destroyed! Does the destruction of a Jewish holy place by an Arab Muslim mob while Palestinian police stand by (after promising to protect it) deserve no more than inclusion in a list of other damage done by rioters? Is this an acceptance of attacks on Jews and things Jewish as a normal part of life?" The answer is increasingly, yes! As Ezequel Doiny writes: "It makes a mockery of any thought of giving Palestinian Arabs any control of Jewish or Christian holy places. The destruction of dozens of such places in the Old City of Jerusalem from 1948 to 1967, when the Jordanian Arabs illegally occupied the eastern half of the City, along with excluding Jews entirely from their most holy sites, was clearly of a piece with the current destruction." "The catastrophe is continuing even now as the Muslim Waqf and Palestinian Authority continue remorselessly desecrating and gleefully destroying evidence of Judeo-Christian civilization and faith upon Jerusalem's Temple Mount." One can only shudder at what discoveries of profound spiritual and historical importance have already been destroyed and lost. Let me also add: Where is the conscience of the civilized world? Where is the thunderous shout of 'NO MORE' from the world's non-Muslim heads of state? Where, indeed! While Israel preserves Al-Aqsa and the Dome of the Rock, Arabs have proven that they cannot be trusted to respect Jewish Holy sites. 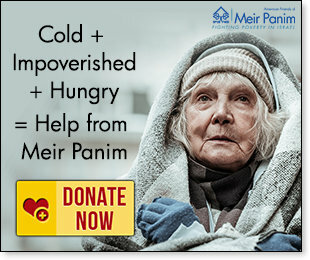 On February 22, 2019 Arutz Sheva reported "Hundreds of Arabs arriving for Friday prayers breached the Golden Gate and entered the site." Palestinian Arabs clashed with Israeli police on Jerusalem's Temple Mount, trying to force their way into an area that has been closed for 16 years. The incident follows a similar confrontation the same week. The area near the Gate of Mercy, or Golden Gate, was sealed by Israeli authorities in 2003 and it has been kept closed to stop illegal construction work there by the Waqf, which Israeli officials believe has led to the destruction of antiquities from periods of Jewish presence in the area." The Arabs shouted incitement against Jews and breached the area..."
On February 19, 2019 Lenny Ben David tweeted "... Clashes between Palestinians and Israeli police recently took place around the Bab al-Rahma – a large structure inside the Golden Gate that police closed off in 2003 and that the Islamic Waqf wants reopened. According to Jewish tradition, Sha'ar HaRachamim is the gate through which the Messiah will come... ."
"A rare photo from 1900 from the Library of Congress, captioned 'Interior of Golden Gate,' shows a room with massive columns. The gate dates back to the 7th-8th century CE and was built over an earlier gate. A photo shows the top of the arch of the earlier gate...What's inside the sealed gates between the walls? Rare picture I found circa 1900 suggests that the room and/or columns date back to the Temple. No wonder, the Wakf wants to build a mosque there between the walls..."
The reason why the Golden Gate was sealed by Israeli authorities in 2003 was because the Islamic Waqf was destroying Jewish Archeological remains in Temple Mount as described and documented below. Netanyahu's permission to build a Mosque at Solomon's Stables enabled the Waqf to destroy Jewish Archaeological remains during Ehud Barack's government a few years later. Until 1948 Jews were a majority of the population in Jerusalem. On December 11, 2017 Amb. Dore Gold wrote in the Jerusalem Center of Public Affairs "By the mid-19th century, the British Consulate in Jerusalem made the following determination, according to this report, which I found in the Public Record Office in Kew, it states that Jews were a majority in Jerusalem, when? already in 1863 – that's long before Theodor Herzl, before the Britt's arrived, or Lord Balfour. See the guy on the right, William Seward, he was Secretary of State of the United States during the American civil war, under President Abraham Lincoln. When Seward's term ended, he visited the holy land, he visited Jerusalem. And he wrote a memoir. And in his memoir, it is written, "There is a Jewish majority in Jerusalem." Jews were expelled from Jerusalem's old city by the Jordanian Arab legion in 1948 through ethnic cleansing. Between 1948 and 1967 while Jordan occupied Jerusalem's old city, dozens of synagogues were destroyed, thousands of tombstones were desecrated in the Mount of Olives Cemetery and Jews were not allowed to pray in the Western Wall. The Jewish Virtual Library reports "Before the United Nations voted in favor of the Partition Plan on November 29, 1947, the Arab Legion of Jordan attacked Jerusalem. Their forces blocked Jerusalem's roads and cut off the city's access to water. After bitter fighting, the Jewish Quarter of Jerusalem's Old City fell to the vastly superior arms and numbers of the Arab Legion. The surviving Jewish inhabitants fled to the "New City," the four-fifths of the capital that Israel successfully held. The Old City, including the Jewish Quarter, officially fell to Jordan on May 27, 1948." "Nearly twenty years later, during the 1967 Six-Day War, Israel's army liberated Jerusalem's Old City, finding the area completely neglected and virtually destroyed. ... All but one of the thirty five synagogues within the Old City were destroyed; those note completely devastated had been used as hen houses and stables filled with dung-heaps, garbage and carcasses. The revered Jewish graveyard on the Mount of Olives was in complete disarray with tens of thousands of tombstones broken into pieces to be used as building materials and large areas of the cemetery leveled to provide a short-cut to a new hotel. Hundreds of Torah scrolls and thousands of holy books had been plundered and burned to ashes..."
But the Arabs not only destroyed tombstones at Mount of Olives and synagogues in Jerusalem, they also destroyed Jewish archaeological remains in Temple Mount. This is an excerpt from Mark Twain's "The Innocents Abroad" describing his visit to the Mosque of Omar and the Al Aqsa Mosque in Jerusalem in 1867: "Everywhere about the Mosque of Omar are portions of pillars, curiously wrought altars, and fragments of elegantly carved marble – the precious remains of Solomon's Temple...see the costly marbles that once adorned the inner Temple...the designs wrought upon these fragments are all quaint and peculiar...one meets with these venerable scraps at every turn, specially in the neighboring mosque Al Aqsa, into whose inner walls a very large number of them are carefully built for preservation." "These pieces of stone, stained and dusty with age, dimly hint at a grandeur we have all been taught to regard as the princeliest ever seen on earth; and they call up pictures of a pageant that is familiar to all imaginations – camels laden with spices and treasure – beautiful slaves, presents for Solomon's harem – a long cavalcade of richly caparisoned beasts and warriors – and Sheba's Queen in the van of this prison of Oriental Magnificence. These elegant fragments bear a richer interest than the solemn vastness of the stones the Jews kiss in the place of wailing can ever have for the heedless sinner." "Down in the hollow ground, underneath the olives and oranges trees that flourish in the court of the great mosque , is a wilderness of pillars – remains of the ancient Temple, they supported it. There are ponderous archways down there...we never dreamed we might see portions of the actual Temple of Solomon..."
If Mark Twain saw this archaeological remains in 1867. where are they now? The Jewish Temple was not only destroyed by the Romans 2000 years ago, it continues tp be destroyed by the Arabs today. If the Palestinian Arabs assume responsibility over the site they will have freedom to destroy much more. Journalist Ilan Ben Zion reported in December 2012: "The Muslim authority managing the Temple Mount on Sunday dumped tons of unexamined earth and stones excavated from the holy site into a municipal dump, in violation of a High Court injunction, Maariv (Hebrew Daily, ed.) reported on Monday." Israel's top court in September 2004 prohibited removal of earth from the Temple Mount and ruled that, should it be necessary [to do so], the Antiquities Authority must be notified a month in advance so it may examine the earth for artifacts." "Jews regard the Temple Mount as their holiest site, where the First and Second Temple were located. Muslims call it the Noble Sanctuary and regard it as their third holiest site after Mecca and Medina. According to the existing arrangement, the Jerusalem Islamic Waqf, or trust, administers the Temple Mount complex. Despite the High Court of Justice's ruling, the Waqf has reportedly removed large piles of dirt from the Temple Mount in recent years and dumped them in the valley east of the Old City walls, provoking an outcry from biblical archaeologists and Jewish groups. "Tzachi Dvira, the archaeologist managing the team that sifts through soil excavated from the Temple Mount, told Maariv that mounds of earth containing historic relics were carted off and dumped on Sunday without notification and before archaeologists could investigate them... Soil from the Temple Mount that had been removed by the Waqf to the Kidron Valley in recent years has yielded "tens of thousands of finds, including signet rings from the First Temple era, painted floor tiles from the Second Temple era, ancient gold coins, and horseshoe nails and arrowheads belonging to the Knights Templar, who stabled their horses in Solomon's Stables," Dvira said. Suzanne Singer, a contributing editor to the Biblical Archeological Review reported in September 2000 "Large-scale illegal construction on the Temple Mount and wholesale dumping of earth in the nearby Kidron Valley resumed this spring..."
"... The Temple Mount is, of course, sacred to three great Western faiths and is part of the world's cultural patrimony. Here may lie remnants from the time of the First Temple of Solomon, the Second Temple built by Herod, the Byzantine period and the early Islamic eras. Israeli excavations around the exterior of the Temple Mount since 1967 have found remains from all these periods, but the Mount itself has been terra incognita, protected by an understanding between Israel and the Waqf that says no construction will take place there... "
"...Last November, we reported that the Waqf, in the dead of night, had dumped hundreds of truckloads of earth from the Temple Mount into the Kidron Valley and municipal garbage dumps. About 6,000 tons of earth were removed ...Despite the flagrant disregard by the Waqf of the requirement for IAA supervision, there was no serious response by Israeli authorities. Today the dumped earth is unprotected and is being covered with garbage, making it unlikely that the IAA will ever act on its announced intention to salvage artifacts by sifting through the piles." "...This spring and early summer, trucks and tractors returned to the Temple Mount, bringing building materials in and carting earth away through the Lions' Gate, just north of the Temple Mount. For 200 yards along the inside of the Temple Mount's eastern wall, from the al-Marawani Mosque's new entrance to somewhat south of the Golden Gate, lie stacks of paving stones, scaffolding, wood and iron materials, along with large architectural fragments, such as pieces of ancient columns... "
" ...The construction on the Temple Mount is only the latest, albeit perhaps the most egregious, example of the Waqf's disregard for the protection of antiquities. In 1993 Israel's Supreme Court found that the Waqf had violated the country's antiquities laws no less than 35 times, with many of the violations causing the irreversible destruction of archaeological remains." "...Due to Prime Minister Barak's concern for negotiations with the Palestinians, no effective archaeological oversight is taking place on the Temple Mount. No one halts the work so that potential damage can be assessed and prevented; as a result, heavy equipment is free to move about the Mount for projects that are neither approved nor supervised. The frequently heard view is that a tough stance by Israel will enflame the Palestinians and set back the peace talks..."
On December 15, 2017 Nadav Shragai wrote in Israel Hayom "King Herod's grand Third Palace is being systematically destroyed by the Palestinians, who are stripping its stone and building homes around it. The site is in Area A, meters from Israeli-controlled territory, but the Israeli government can do nothing...Here is a lesson that teaches us how the Palestinians today treat remnants of the past...It is unclear how much of this beauty remains. Yaron Rosenthal, director of the Kfar Etzion Field School, who sometimes works with the Palestinian Arabs on environmental preservation projects, finds it difficult to hide his anger. "Israel sees how one of the grandest palaces ever built in the Holy Land is being destroyed, and is standing by helplessly, because under the Oslo Accords the site, which is 30 meters from Area C, was made the responsibility of the Palestinians. It's time for Israel to say, 'No more.' With all due respect to the Oslo Accords, we will not let you destroy important [archaeological] remains linked to the history of the Jewish people in their land, remains that are part of the cultural fabric of this country," Rosenthal says..."
On Jan 6, 2018 Judith Abramson reported in Jerusalemonline "Hebrew University archaeology doctoral student Haggai Cohen Klonymus described to the Israel News Company (formerly Channel 2 TV) how Palestinian tractors and bulldozers arrived at an archaeological site where the ancient city of Archelaus once stood. The Palestinians completely leveled the compound in order to locate hidden archaeological treasures to sell in the antiquities market. "Just as ISIS destroyed sites in Iran and Syria that were thousands of years old, the same situation is occurring here," he said. "This is a deliberate and systematic destruction of an archaeological site....It's just a tragedy." In 2000 the Palestinians destroyed Joseph's tomb. 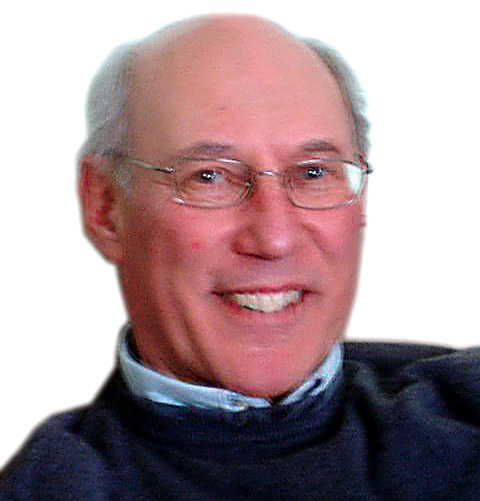 Sidney Brounstein wrote for the Los Angeles Times "Oct. 8: Where is the outrage? Imagine what would have happened if Jewish police stood by and allowed a Jewish mob to destroy a Muslim holy place! Does the destruction of a Jewish holy place by an Arab mob while Palestinian police stand by (after promising to protect it) deserve no more than inclusion in a list of other damage done by rioters? Is this an acceptance of attacks on Jews and things Jewish as a normal part of life?" "It makes a mockery of any thought of giving Arabs any control of Jewish holy places. The destruction of dozens of such places in the Old City of Jerusalem from 1948 to 1967, along with the exclusion of Jews entirely from their most holy site, the Western Wall, was clearly of a piece with the current destruction."